Full name: Publishing house of the National research Moscow state university of civil engineering. Abbreviated name: MISI - MGSU publishing house. Location: Moscow, Yaroslavskoye shosse, 26, building 8. Legal address: Russian Federation, 129337, Moscow, Yaroslavskoye shosse, 26. MISI-MGSU publishing house (further - Publishing house) is structural division of federal public budgetary educational institution of higher education "National research Moscow state university of civil engineering" (further – University) and works according to the Charter of University, the legislation of the Russian Federation, in particular with the act of the Russian Federation "About the higher and postgraduate professional education", the Provision on Publishing house and other normative documents of the Russian Federation in the field of education and publishing. The publishing house acts within the competence on behalf of University, coordinating the activity with the relevant divisions of University. MISI-MGSU publishing house publishes textbooks, manuals, monographs on all construction specialities. 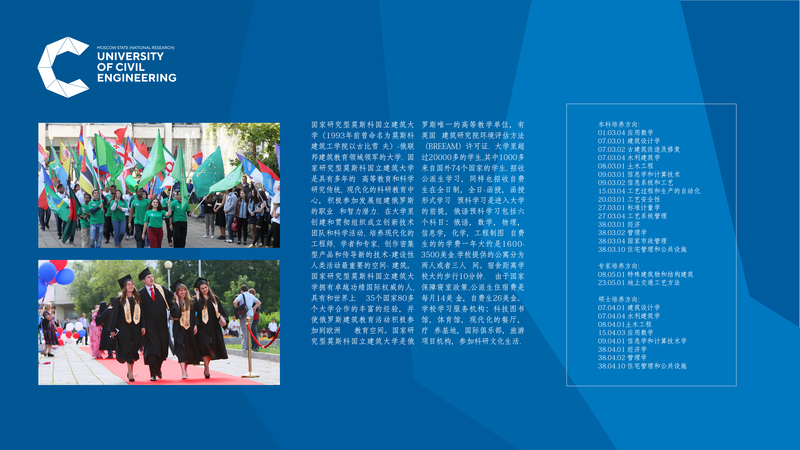 In 2011 a series "Published in MGSU. Eurocodes". On the basis of the contract with the London publishing house "Thomas Telford Limited" for the first time the following managements were published in the Russian Federation: a grant for students of the construction specialties "Excerpts from Construction Eurocodes", "The management for designers on Eurocode EN 1990: bases of design of constructions" and "The management on Eurocode 1: impacts on constructions". In 2012 were published: "The management for designers on Evrokoda 2: design of concrete designs", "The management for designers on Eurocode 3: design of steel buildings", "The management for designers on Eurocode 4: design of difficult buildings from steel and concrete", "The guide for designers to norms of EN 1991-1-2, EN 1992-1-2, EN 1993-1-3 and EN 1994-1-2". In 2013 are let out: "The management for designers on Eurocode 6: design of stone designs", "The management for designers on Eurocode 7: geotechnical design", "The management for designers on Eurocode 8: design of aseismic designs". 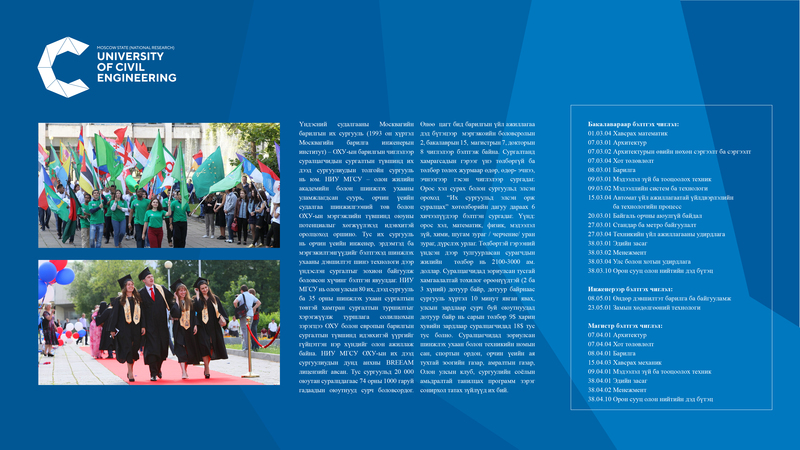 It is possible to get editions in the bookstalls located in the territory of NRU MGSU and also in MISI-MGSU publishing house. We offer each author an individual operating mode with prospects of further effective mutually beneficial cooperation. The edition of any book can be carried out within the individual investment project with the attraction of financial resources of the profile enterprises and organizations interested in the release of the book on the scope of their activity and realization of circulation. For regular customers we have privileges. Having the printing house of a full cycle, we make all types of printing products. We work with materials not only in Russian but also in foreign languages, with technical illustrations of any complexity and any type. Among our customers — scientific and technical workers, engineers of all specialities, teachers of higher education institutions, heads of the large Russian companies. If you didn't solve yet, in what form our cooperation can take place — visit our site, call or direct the demand both the wishes by e-mail — and our experts will quickly contact you.